Once applied to baked polumer clay, Magic-Glos™ can be applied and baked over and over again. 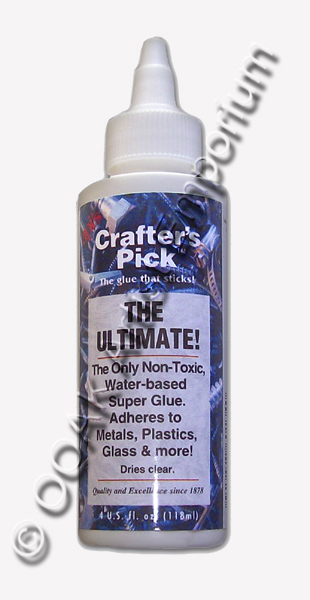 Great for mixing or embedding glitter, dried flowers, beads, charms, found objects. 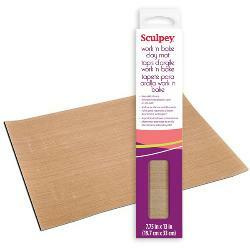 Wonderful for sealing transfers, foils, leafing mosaics and more! 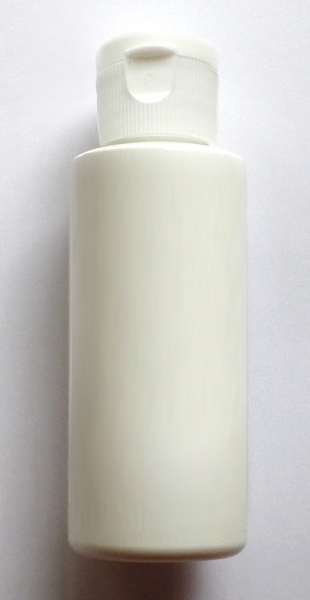 Easily creates domed cabochon effect with multiple layer applications. 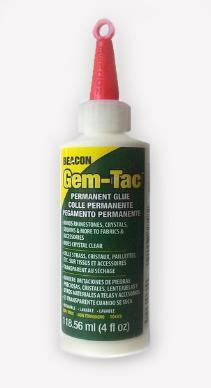 Ideal on creative surfaces to add shine or dimensional effects such as water droplets, raised patterns, etc. Cures with direct sunlight or a UV Light. feeling until fully cured, leaving fingerprints on the surface. and craft creations. Glos your way to beauty! remain unaffected by heat or cold. 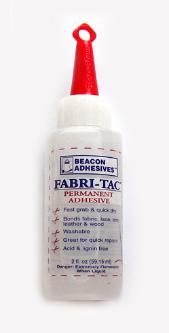 Fabri-Tac works on leather, heavy fabrics, attaching doll hair and even wood. The new smaller size means you will use it before it gets too thick! With this unique & innovative clear lacquer, you can transform any flat images into life-like 3-dimensional pictures. well as OOAK Art Dolls and other crafts. 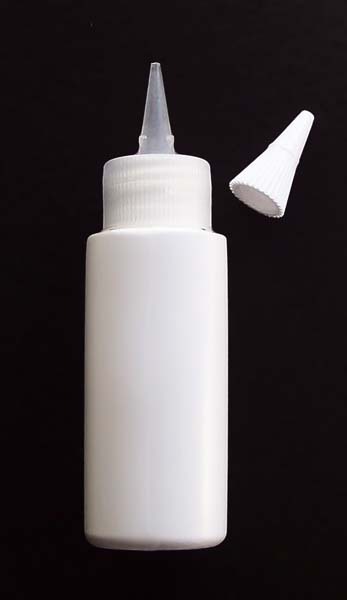 You simply apply dries in 10 to 20 minutes. allow to dry clear & press together. 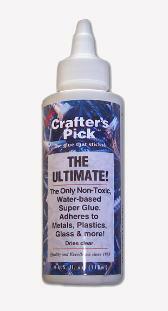 ADHERES TO: Metals, Plastics, Ceramics, Vinyl, Fiberglass, painted wood, paper, leather and more! resistant bond to difficult to glue surfaces. Dries fast and clear. and fluorescent black light fixtures is light and portable. not needing to be heated or layered and has ample working time before it sets up. an area of 2 square feet at 1/8 inch deep. Water to cure between layers. No seams will be noticeable. about 10 minutes. 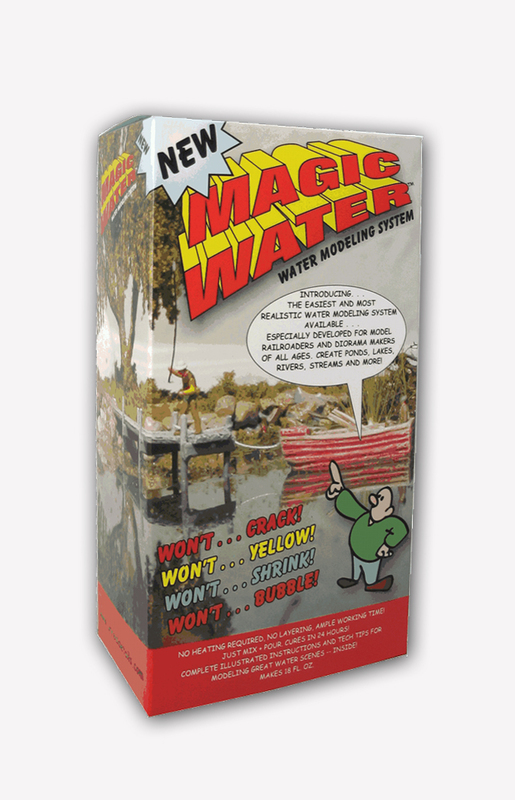 SIMPLY POUR MAGIC WATER™ AS IF IT WAS REAL WATER! Embossable Window Plastic, glass beads, glitter and many other mediums. pearlescent pigments and more. own custom eyes for artdolls and cabochons for handcrafted jewelry. This product cannot ship international. get stringy while applying to fabric. paints. Use it to refill any liquid product from larger containers. 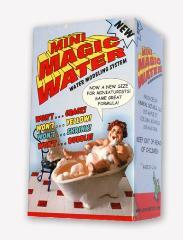 clear, water based, non-toxic and washable. 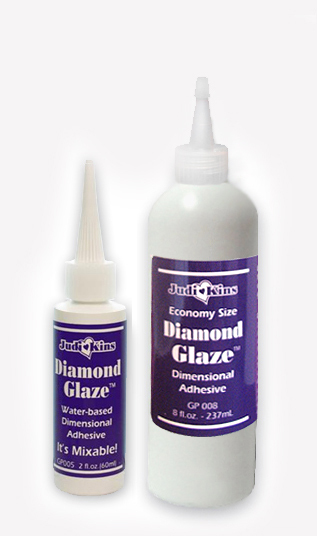 3D Crystal Lacquer dries to a clear finish and does not turn yellow over time. 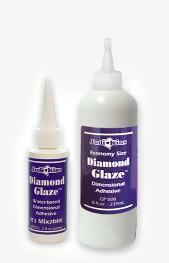 3D Crystal Lacquer is Water Based, Acid Free, and Non-Toxic! You can use it safely in just about any environment. temperatures and will repel liquids. Oven Safe! Goes from table to oven to easily create then bake!